Oh dear. Oh dear, oh dear, oh dear! I knew it would be hard this year, but I had no idea HOW hard. 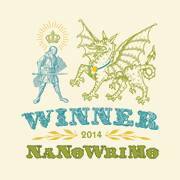 My current NaNo word count: 2,523. I’m fairly certain that I should be at about 15k by now, if I were keeping up to the daily targets. *sigh* It’s a very odd sensation, particularly since I can’t exactly blame the boys for how I feel. I just haven’t had the motivation to do much writing this past week. In fact the last time I sat at the keyboard and managed to write anything at all was Sunday. Not great. I’m reminding myself that I have been ill, looking after the boys who keep changing up their schedules and handling multiple visits from various family members. All these does conspire to make it hard to write, but I’m not going to ‘blame’ those things. 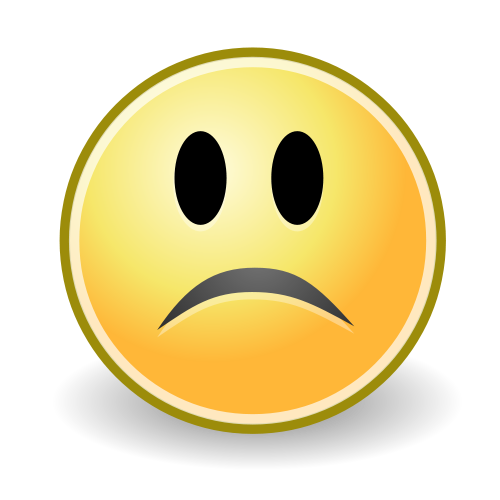 I’ll just say that this past week has been a little bit of a write off and that I need to do better. Not with mounds of pressure though. I promised myself that I wouldn’t get stressed, and that I would take it easy, been as there are much more important things to be looking after. So far I have kept to that, though I must admit I do feel somewhat odd that I haven’t added any figures to the NaNo counter over the last few days. I remember the relish I felt in years passed at watching the numbers rise. We’ll see if I can catch up. If not, then any words I get down I should consider a win, considering my current circumstances. White flood lights chased shadows out of the warehouse and illuminated the furniture edges with a bright glow. Beneath it all lay Cerise, her body artfully draped over Malcolm’s. Both were naked but for a thin film of sweat, occasionally topped up by crew members with a sparing spritz from a clear spray bottle. Make up crew swarmed like flies, adjusting lipstick, dusting with powder, smearing a dash of colour. One even went as far as to flick a soft, puffy brush at the underside of her breasts. Grateful that this particular fantasy required no lines, Cerise concentrated on moving her body in a realistic manner. While rehearsals didn’t need any real penetration positioning was important. She rolled her hips around and tipped her head back, letting her hair fan across the pillows. He pulled away, rolling off the bed and snapping his fingers to get the attention of his assistant. The woman ran over to him waving a dressing gown, helping him into it with her face averted. “No,” he snapped. “I need a break.” He stalked away. “Whatever.” She hopped off the bed, kicking aside the plunger and monkey wrench lying on the sheets and walking off the set. Goosepimples broke out on her skin as she left the warmth of the lights. She shrugged into her own dressing gown, held out by a freckle faced assistant and helped herself to a pair of fluffy slippers. “Have I got time to log in?” She asked. With that go ahead, Cerise aimed for her trailer. 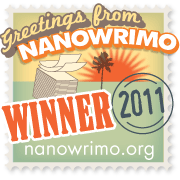 This entry was posted in Ileandra's Posts, NaNoWriMo 2012 and tagged Ileandra Young, motivation, nano, nanowrimo, peep show, postaweek2012, update, wordcount. Bookmark the permalink. Yes yes to this: “If not, then any words I get down I should consider a win, considering my current circumstances.” Just keep reminding yourself of that. It’s a huge accomplishment to do anything in the first year with babies. Hey… another achievement today; I emptied the wash basket! No word of a lie. 🙂 Woohoo! You’re ahead of me, then, Ileandra! Good job! I’m amazed you’re getting any writing done at all to be honest. I’m finding it a challenge with just the one baby! I’m keeping out of nano this year because I’ll drive myself crazy but I might take a shot at it next year. 🙂 Congrats to you, you’re doing amazingly! Oooo, I love the name Cerys. I had it in another WIP (what was idea three actually) but then changed it to Michelle. I just reminded another writer that even if you don’t reach 50,000 words, you’re ahead of where you were and have a better idea where you’re going. Take each day as it comes, and hang in there. You’ll get where you should be! Another 300 words last night. Slowly slowly!